Joe Montana was Tom Brady's childhood idol, and was widely regarded as the GOAT quarterback for around 20 years. But after Brady won his fifth Super Bowl, public opinion has shifted, even outside of New England. And now, it seems like one person is slow to accept that change: Montana himself. When asked whether he considered himself the GOAT, Joe Cool replied that "I still can't say that of myself because of just what I said." That's when his wife butted into the conversation to point out that Montana does indeed refer to himself as the greatest quarterback of all time when he's along around the house. It's been suggested that he was just trying to be polite, but he would hardly be alone in calling Brady the greatest. 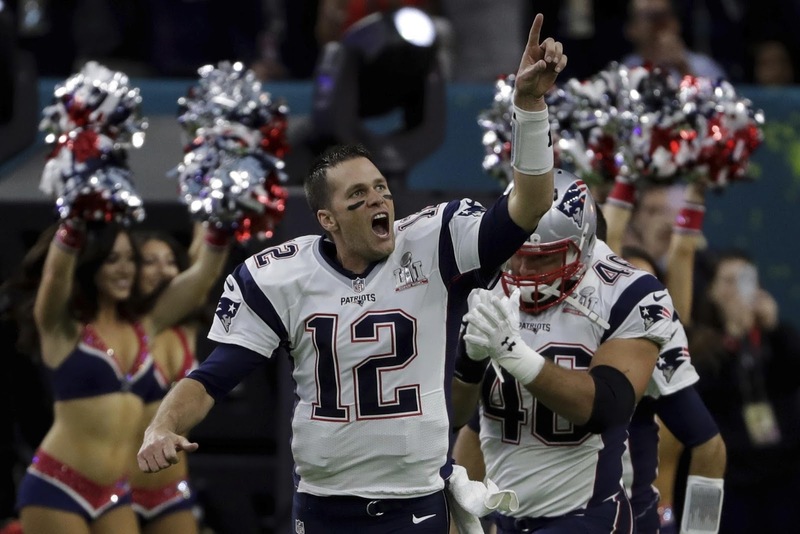 Esteemed passers like Joe Namath, Fran Tarkenton, Brett Favre, Troy Aikman, Kurt Warner, Joe Theismann, and others have already come out in support of the Patriot, many before he even claimed his fifth ring. If you extend the list beyond just other quarterbacks, greats like Ray Lewis, Ed Reed, Hines Ward, and Barry Sanders have also acknowledged Brady as the greatest ever. But Joe shouldn't worry, because he isn't alone standing against Tom: Phil Simms is with him, and with Phil on your side, who else do you really need?